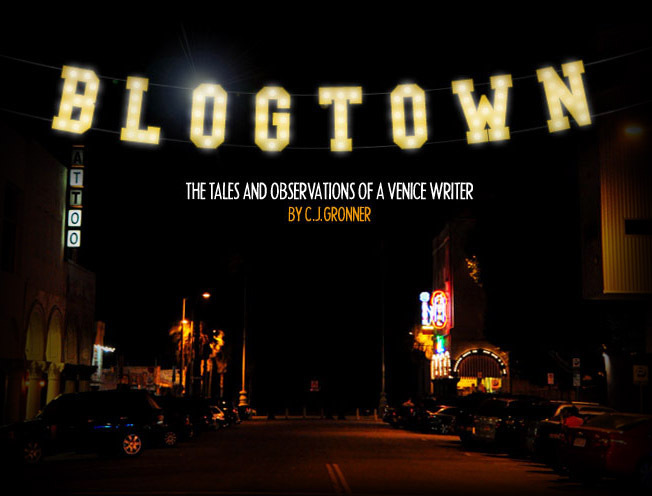 Blogtown: Vikings In Los Angeles! It's common knowledge that I love my Minnesota Vikings, so when they were playing in L.A. for the first time since I've lived here - I was there. And so were like a zillion other Vikings fans - WOW! The train down to the Coliseum was jam packed with folks decked out in purple and gold, but that was nothing compared to the sea of purple on the visitors side once inside the massive and iconic old venue. Lines were LONG to get in, and team chants went back and forth getting everyone pumped up for the barnburner of a game. 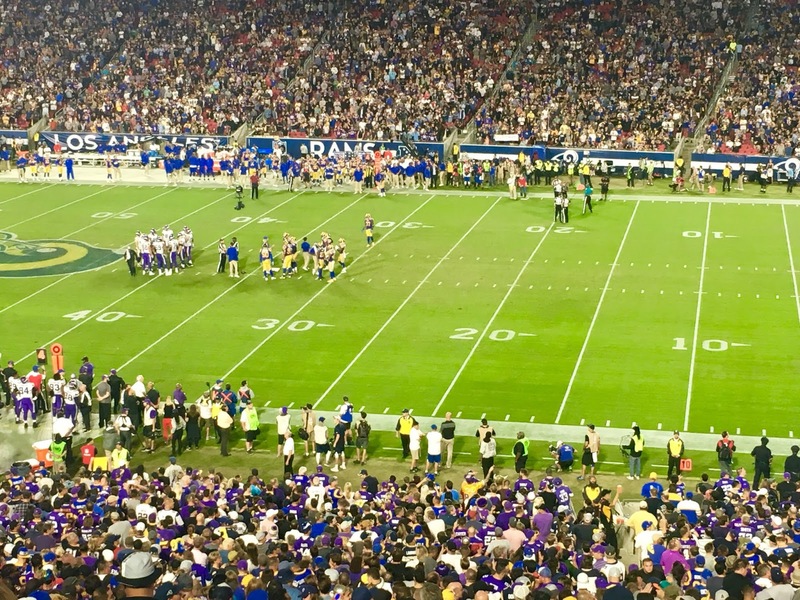 You could tell the Rams fans were kind of taken aback, because it was hard to tell who the noise was for because the Vikings were just as loud - if not louder - than them every time something good happened for us. Viking horns and braids were well represented also, and I had one woman marvel as I passed by, "Ooh, you have REAL braids!" Yes, and they're real blonde too - another rarity in Los Angeles. 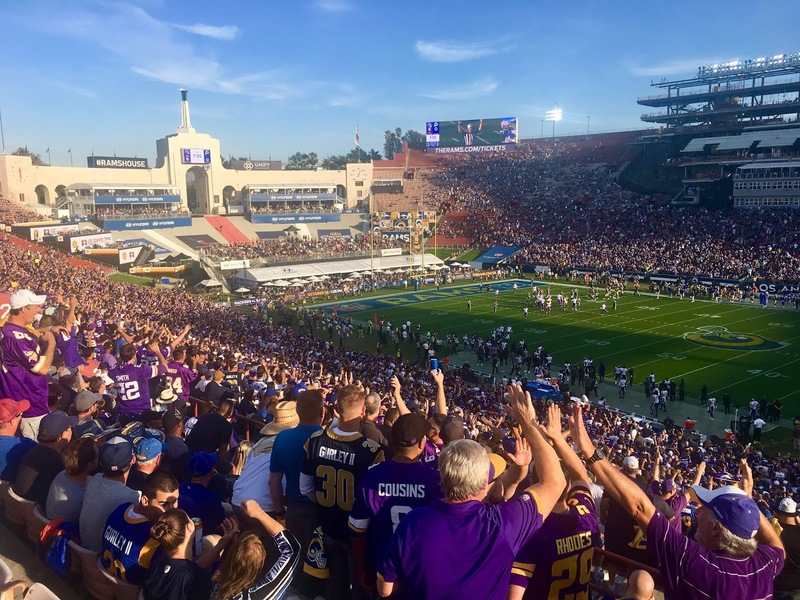 I've now lived in L.A. almost as long as I lived in Minnesota, so I would definitely be rooting for the Rams if they weren't playing Minnesota. But they were, and I bleed purple. You understand. The popular Rams chant "WHOSE House?!" 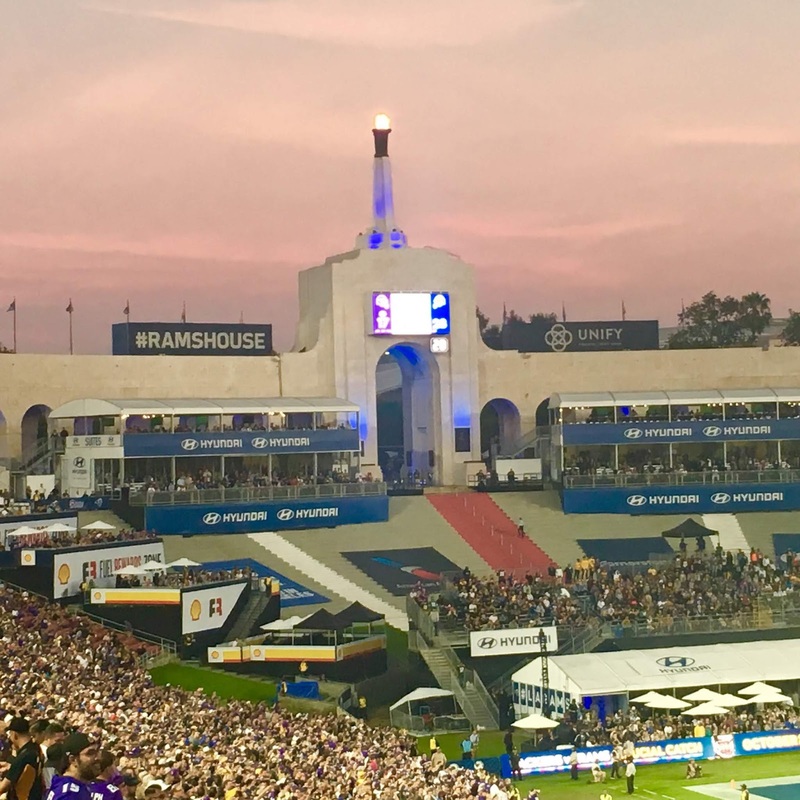 (which was kind of funny since it's really USC's house, and the visual looked like it was the Vikings' house) was often drowned out by the Vikings "SKOL!" chant ... but the whole thing was very civil considering. Stefon Diggs (whose jersey I was wearing) and Adam Thielen were awesome, and you'd hear Rams fans saying so. The Rams guy (Goff?) was also excellent, and we'd shake our heads in envy when they'd complete another long pass. All the ribbing seemed to be in good humor - even though everyone still thinks it's clever and hilarious to do an exaggerated "Oh Yah, You Betcha!" to you when they see you in purple. Hint: It's not. And it gets pretty old. But we're Minnesota Nice, so we smile tightly and nod, keeping our disses to ourselves (usually). The Vikings were not victorious this time, but they could have been. The game was a slug-fest the whole time, and if not for a fumble late in the game (and for Cousins taking forever to make a pass every time so he always gets sacked), might have gone the other way. But as I told a Rams fan guy at work - we won in our hearts. Because when you see that much purple in your chosen second hometown, it lets you know that you're not alone out here, and that feels good. As does finding out that our new kicker (Dan Bailey) can actually make a field goal - even if the first one did clank off the goal post in a brief moment of horror for any Vikings fan. They'll know what I mean. So, SKOL, Vikings in L.A.!!! That was awesome. Glad to know you're all here! See you next time!